Fractals are fascinating things although I don't understand them one bit - I just like the pretty pictures they make. Fortunately, no mathematical knowledge is required with ChaosPro which generates several fractals simultaneously in different windows but all at the same time. ChaosPro can create fractal animations, generate 3D fractal transformations in 2D, and create true color fractals. Of course, the processing power required to do this so unless you're working on something NASA might use, you'll be best to connect several PC's together and see what happens. There are many fractal programs available for Windows but it's precisely the huge processing power that they require that usually ends up in crashes or system failure. They also tend to be very outdated and aimed at scientific or mathematical boffins which is where ChaosPro breaks the mould as a more modern and attractive attempt. 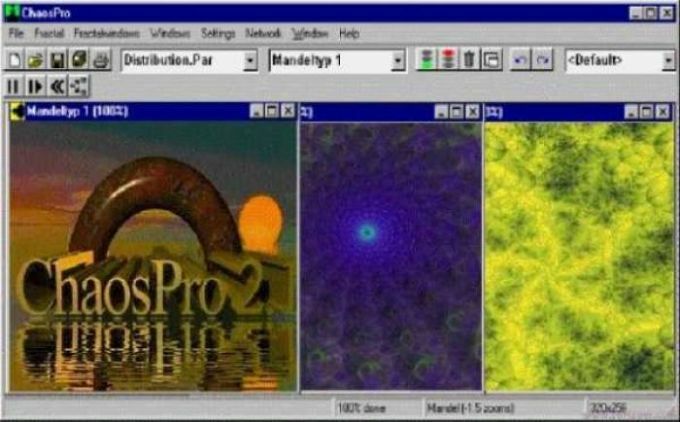 If you like pretty pictures or are seriously studying fractals then ChaosPro is one of the more user friendly and spectacular programs out there. What do you think about ChaosPro? Do you recommend it? Why?